Custom Machined Products | Meyer Tool & Manufacturing - Meyer Tool & Mfg. We do not offer a set catalog of machined components. We use our in-house engineering staff and expert machine shop staff to optimize your component and assembly designs for fabrication. We specialize in fabricating some of the more unique and challenging machining projects that are either too complex or to low in quantity to peak the interest of standard machining suppliers. 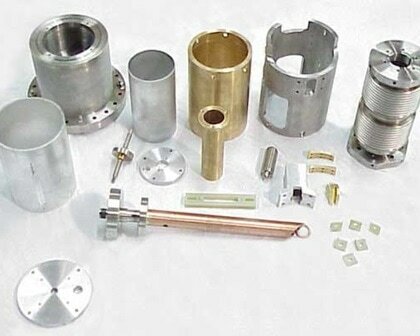 We differentiate ourselves from other machine shops based on our extensive experience fabricating complex pieces of equipment for the particle accelerator industry. We have designed our systems and processes around building extremely precise, one-of-a-kind systems. We approach every machining project with the same attention to detail and level of quality as if the end result were being installed into a particle collider. We can work with a wide variety of materials. We are used to developing production plans for quirky and difficult designs. Whether it is a single unit prototype for a 1,000 unit production run we can develop an optimized production plan to consistently deliver high quality parts at a reasonable price. No project is too big or too small for Meyer Tool. We will fabricate tiny intricate Kovar vacuum flange components all the way up to final machining 40ft long Stainless Steel Vacuum chambers. Not everything we make ends up in a particle accelerator. We take on a wide array of machining projects from very complex custom machined fixtures for the automotive industry to batch production runs of hardware for the lighting industry. Typically, the projects that are the best fit for us, involve some unique attribute. It may be some critical surface finish requirements, tight dimensional tolerances, or parts that require machining after being welded together. We take on projects that require a keener eye and a greater attention to detail than the status quo. We have a long history of supporting particle accelerator related projects that involve the use of radio frequency cavities that are precisely tuned in order to boost the energy of the particle beam as it travels around the accelerator. 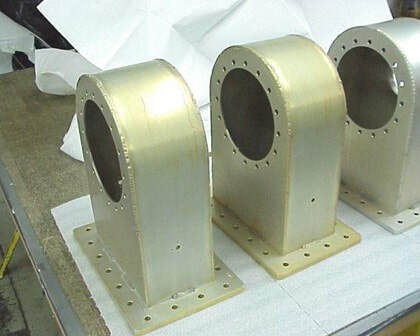 We have fabricated wave guide assemblies, tuning components, and related assembly hardware for the RF cavities. We are a major supplier to National Labs throughout the United States. We have fabricated components for the Advanced Photon Source high intensity x-ray generator at Argonne National Lab. We have made parts that are in use at the National Ignition Facility, (NIF), and one of the worlds most powerful lasers. 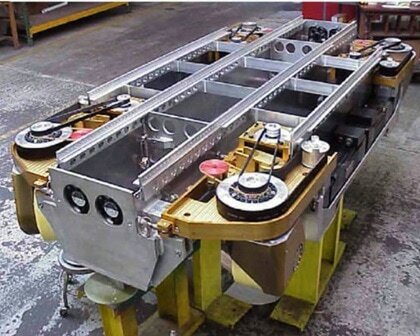 Our components are also utilized at the Large Hadron Collider at CERN in Switzerland. We are capable of designing and fabricating complex electro-mechanical systems to precise tolerances and specifications.